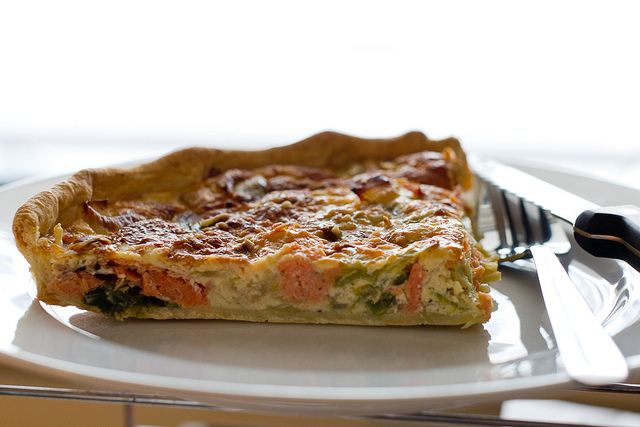 Share the post "Salmon and Broccoli Quiche"
Whether you’re heading to Sunday brunch or looking for a simply refreshing meal at home, serve up this salmon and broccoli quiche. It’s got all the nutrients you need and all the flavor you want! To make dough, knead together salt, flour, and butter while adding water bit by bit. Once you have kneaded ingredients into a dough-like consistency, wrap it in cling wrap and place in refrigerator for 15 minutes. Then, remove it from refrigerator and roll it out to about 2mm thickness. Place as bottom layer in pastry tin; put in refrigerator for another 20 minutes. To make pastry: line pastry case with parchment paper, using dry beans or rice to weigh it down. Bake in oven about 15 minutes; remove weights and bake for another 5 minutes. To make filling: sprinkle salmon with salt and butter. Bake in oven for about 15 minutes so that it shows some flaking. Chop broccoli into small florets and steam for 5 minutes in salted water. 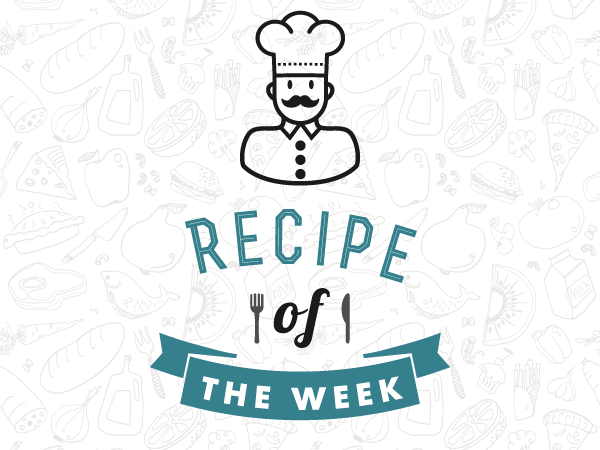 In a bowl, combine eggs, milk, and double cream, followed by the salmon and broccoli. Pour mixture into pastry case; bake for 20-25 minutes in oven.